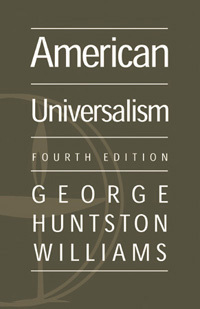 George Hunstons Williams's keynote address to the 1970 UUA General Assembly, expanded into this classic study of Universalist theological positions. Examines the richness of American Universalism and its many expressions in American life and thought. Williams considers the social reform efforts of Horace Greeley and Quillen Shinn, the ordination of women, the temperance movement and more. Includes a preface by historian Charles Howe. Co-published by Skinner House and the Unitarian Universalist Historical Society.